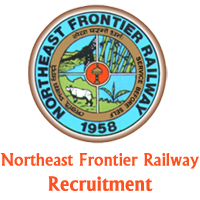 North East Frontier Railway Jobs Recruitment Notification 2018.North East Frontier Railway inviting applications for the positions of Medical Practitioners.Interested and Eligible candidates can apply for the positions. 1. While attending the interview, the candidates are requested to bring relevant certificates in original with attested copies of same in support Of age. qualification. medical registration. experience etc. and two passport size photographs self attested and application dully filled in as per format given (with one of the two photographs pasted). The candidates should be prepared to stay for one day, if required, at their own expense. 2. Walk in interview will be held on 09/07/2018.